A clean, sound and well-prepared floor is essential in ensuring that any floor finish will perform satisfactorily. More often than not, flooring that doesn't set to the expected quality or finish, it is due to poor, or no, floor preparation beforehand. Some of the most difficult floors to prepare include slopes, high points, curves and removing current floor coatings and the preparation of a floor made of a mixture of surfaces. We are aware that not everyone has the experience, knowledge or time to carry out preparations. Each method is best suited to a certain state or variant of flooring, which is why it’s important to select your method carefully – without this consideration it could be a costly and timely affair. 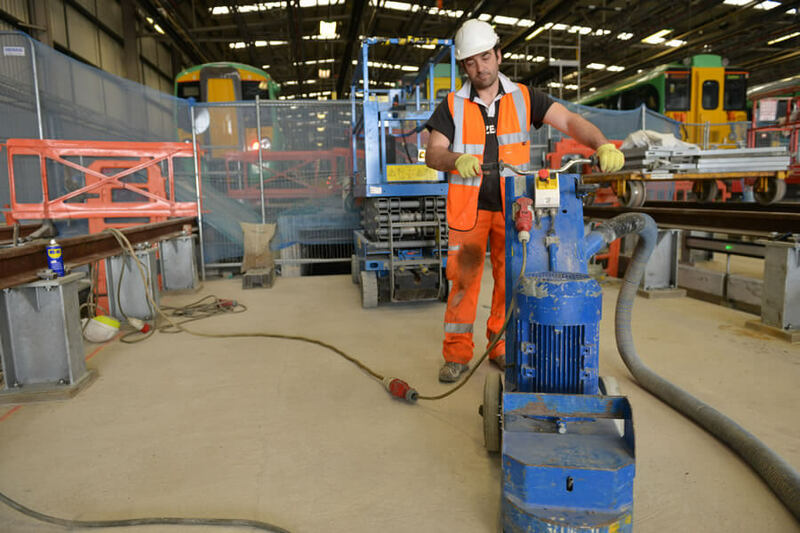 Flowstone’s floor preparation team are often used in subcontracting agreements where we can lease both workforce and equipment to the main contractor of any particular job. Get in touch with us directly to discuss your needs.